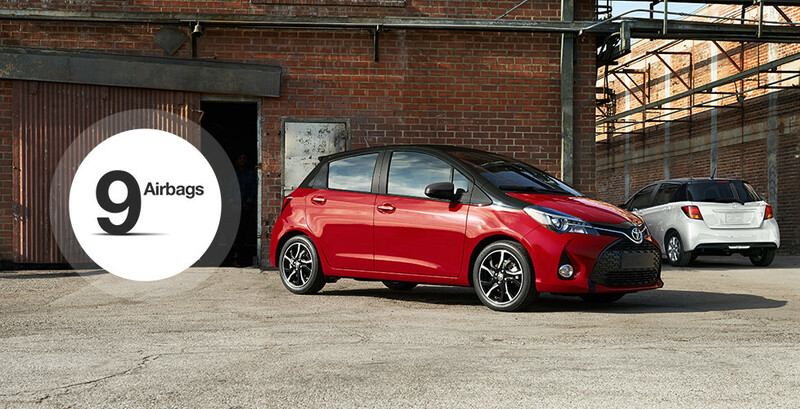 Good times are coming once you sit inside Yaris. Available white stitching on the seats grabs your attention, and available piano-black accents on the gearshift surround and steering wheel add an extra touch of class. And with Yaris EntuneTM Audio with 6.1-in. touch-screen display, you've got plenty of tech to keep you informed. 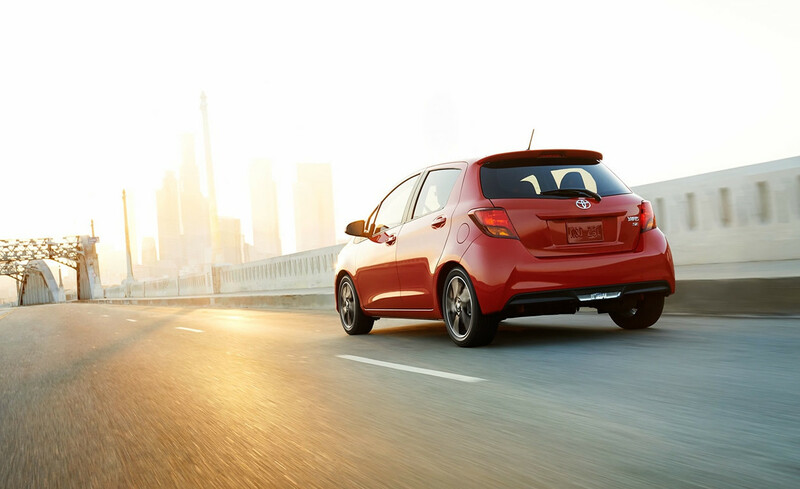 A sporty look is the Yaris standard. 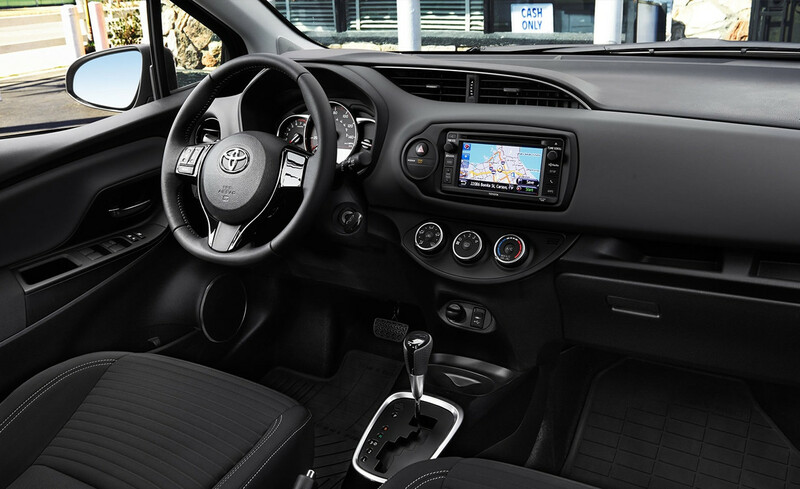 That's why the Yaris SE comes standard with a leather-trimmed steering wheel and shift lever. Small but mighty: driving a Yaris is a blast. It's powerful and responsive enough to make it enjoyable behind the wheel and small enough to let you maneuver through traffic; you'll forget if you're driving it for fun or because you need to. With great gas mileage comes great joy. With up to an impressive EPA-estimated 37 highway mpg, you could be making more stops for coffee than you will for gas. 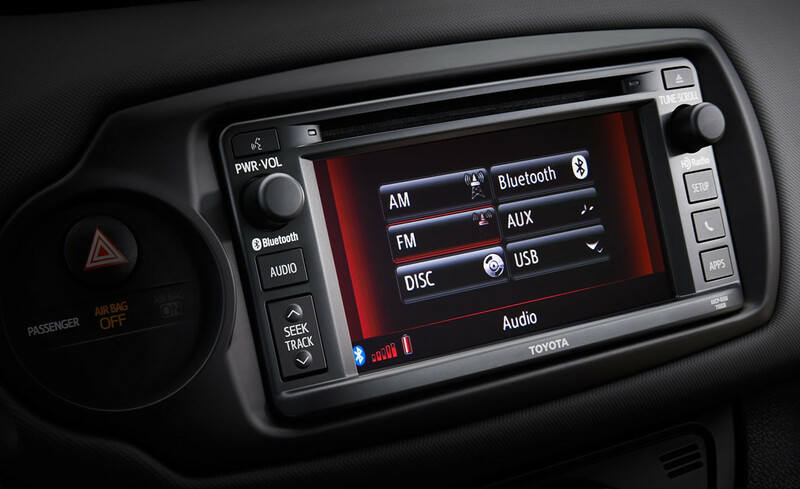 No music stays behind with Yaris. Connect and control your iPod® using the standard USB port, plus there’s an auxiliary audio jack to plug in other music players.